GigaPros Review 2019: Is GigaPros a Good Hosting? GigaPros is an American hosting provider with an impressive feature list, fast connections, stable performance, and excellent customer support. GigaPros is suitable for both personal and business use. GigaPros has maintained a very good spot in the web hosting arena since its launch in 2008. Based in Los Angeles, U.S.A, GigaPros provides multiple premium web hosting and domain registration solutions. The company is customer-focused and follows a strict zero overselling policy, so you get exactly what you pay for. The website is excellent as it provides detailed and genuine information about the service in English. GigaPros is a great option for beginners who want to get started quickly and without a hassle. Using the Softaculous app installer within the cPanel allows you to install more than 350 popular apps with just one click of a mouse. A premium site builder comes with over 1,200 templates to choose from for creating a stunning website with little effort. All shared hosting plans come with free shared SSL. I also like the demos provided to learn more about the company’s product range and get the feel for what to expect from GigaPros. On the technical level, even though GigaPros runs on Linux CentOS only, it’s very popular these days and commonly used with cPanel. A CDN acceleration is present to make your website load 200% faster and protect you from DDoS attacks. 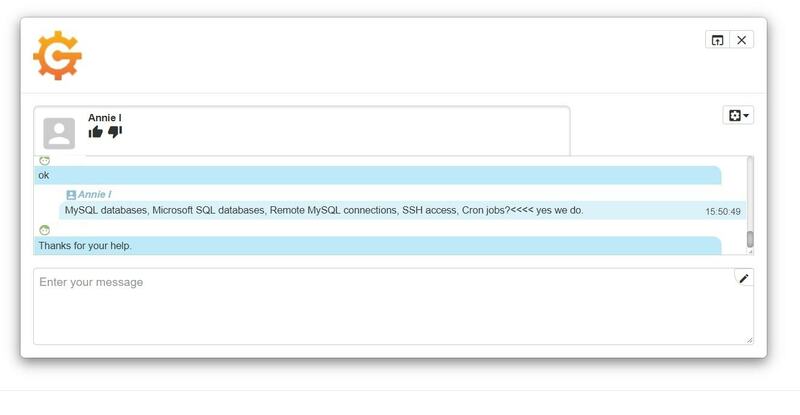 Features such as MySQL databases, Microsoft SQL databases, Remote MySQL connections, SSH access, and Cron jobs are also available. The business shared plans are built on 100% Fault-Tolerant Cloud infrastructure and SSD disk storage. With regards to infrastructure, GigaPros fully owns its network equipment and servers. The company has has three data centers in the U.S. in Dallas, Chicago, and Denver with fully redundant Cisco-6509 Sup-720 distribution switches. GigaPros has different packages for its hosting services all covered by a zero overselling policy which, unlike other vendors, ensures that you get what you pay for. Its shared hosting comes in two plans, Personal and Business. Although these two plans share most features including 250 GB bandwidth limit, 25 GB storage, free domain, and free private nameservers, they differ in speed, disk drives, uptime guarantee, and security. The Business plan is ten times faster and has 99.99% SLA, whereas the Personal plan runs on HDD drives with 99.9% SLA and doesn’t include Fault-Tolerant Cloud platform or PCI compliance. You can increase any package’s web space and bandwidth at an extra cost. Further, GigaPros accepts payments via PayPal and credit cards, and all packages come with a 30-day money-back guarantee. This vendor also offers discounts on all subscriptions, except for monthly payments. Continuing with the good news, GigaPros has excellent support channels with very professional, responsive, and knowledgeable teams. Their live chat team is available 24/7 to answer your questions. You can also reach them via email, support ticket, or by phone. For self-assistance, you can always go to their Knowledgebase section. GigaPros is a high-quality hosting provider with a rock solid infrastructure and feature-packed plans. The company is very clear and transparent about what it offers and has a lot of happy customers, even though prices fall on the expensive side. 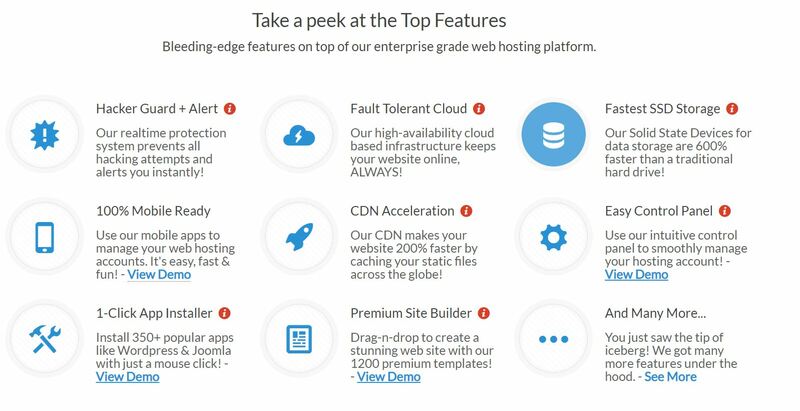 Wondering how GigaPros stacks up against other Web Hosting companies? Enter any other Web Hosting company and we will give you a side-by-side comparison.